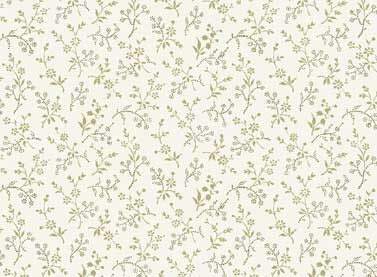 Mrs. Miniver, green on white vine, designed by Red Rooster Studio. This collection was inspired by the romantic home décor florals of the 1940's. Slip back in time with timeless prints.